On Monday morning following the devastating loss of the New Orleans Saints, no football fan felt as depressed as Hoda Kotb’s daughter, Haley Joy. The adorable toddler had no qualms with expressing her heartbreak as the Saints suffered a 26-23 overtime loss against the Los Angeles Rams on their home ground at New Orleans Superdome on Sunday, January 20. With a trip to the 2019 Super Bowl on the line, it made the Saints’ loss all the more infuriating to fans. One such frustrated fan was Haley, who turns two years old next month. Hoda’s time as an anchor in New Orleans during the 1990s at a CBS affiliate made her a diehard Saints fan. With Haley in her miniature Saints jersey, Hoda just had to share little Haley’s reaction on Instagram. "The face I made this morning when I realized it wasn’t a bad dream. We love you @saints !!!! Next year baby! #blessyouboys." Karen Swensen, Hoda’s dear friend, spent the weekend in New York City and went over to Hoda’s apartment with her teenage daughter, Catherine to watch the football game. Swensen and Hoda worked together in New Orleans during the 1990s at the CBS affiliate WWL and remained close friends and supporters of the Saints ever since. In the picture, Haley is snug on Catherine’s lap as Karen has a hand around them both, smiling broadly. The main reason fans reacted with such intense emotion is because officials missed a blatant penalty late into the fourth quarter. Had the penalty been given, it would have caused the clock to run down resulting in a likely win for the Saints on a short field goal with little time left. But the Rams geared up for a comeback as they sent the game into overtime, and won the game due to a 57-yard field goal by Greg Zuerlein. The adorable picture of Haley is sure to reflect how many Saints fans are feeling. 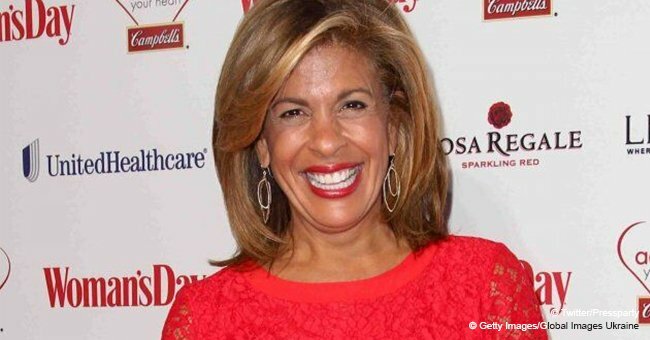 Much to the delight of followers, Hoda Kotb posts cute things about Haley all the time. Earlier this month she posted a video of the cute toddler dancing to ‘Chinese Boxes’ by Kim Richey. In the video, Haley wore a striped white and navy shirt that became a topic of discussion on the January 10 episode of TODAY, with hosts Hoda Kotb and Jenna Bush Hager. Jenna and Hoda see each other as family, and they treat each other the same as well. At times Jenna would drop off a bag of whatever clothing her kids have grown out of, as a hand me down for Haley. 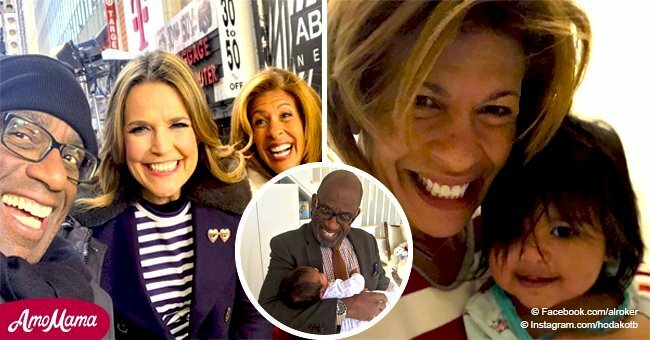 On December 14, 2018, posted a sweet picture of Haley with NBC’s Al Roker as he adoringly looked down at her cradled in his arms. The date was special as it marked the ‘The Morning Show’ on NBC’s 40th anniversary. Although Al Roker and Hoda work on different segments, they have an admirable bond.